Hometown: Palmyra, New Jersey, U.S.
Died: August 15, 2010 in Operation Iraqi Freedom. Unit: Army, 1st Battalion, 21st Infantry Regiment, 2nd Brigade Combat Team, 25th Infantry Division, Schofield Barracks, Hawaii. Sgt. 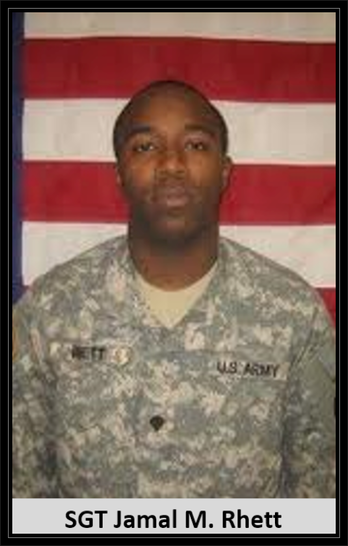 Jamal M. Rhett, 24, of Palmyra, N.J., died Aug. 15 in Ba Qubah, Iraq, of wounds suffered when insurgents attacked his vehicle with grenades. 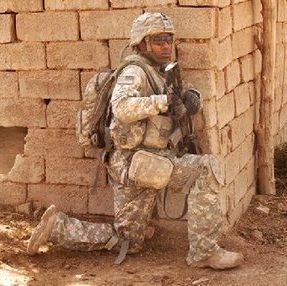 He was assigned to the 1st Battalion, 21st Infantry Regiment, 2nd Brigade Combat Team, 25th Infantry Division, Schofield Barracks, Hawaii. Sergeant Rhett leaves to cherish his memories: his loving mother, Michelle Watson; his father, Thornell Rhett; siblings, Tonya, Jason, and Tamisha; one great aunt, Josie Watson of Savannah, GA; three great uncles, Daniel(Rosemary) Watson and Charles(Shirley) Watson, both of Sylvania, GA, and James(Shirley) Watson of Savannah, GA.; one uncle, Samuel(Linda) Watson of Dayton, OH; eight aunts, Ada(Levi) Dock of Alexander, GA; Jeannette(Jesse)Miles of Sylvania, GA; Rena(Ronald) Matthews of Savannah, GA; Margie(George)Young of Statesboro, GA; Sonya Winters, Sadie Reid and Julie Reid, all of Philadelphia, and Annie Sue Rhett-Johnson of St. George, SC; two step uncles, Pete and Michael Reid of Philadelphia, PA; one step aunt, Marie Reid of Philadelphia, PA.; a special and devoted friend, Anthony Keesee; and a host of other relatives and friends. Jamal was particularly very close to his Mom, Michelle Watson and his aunt, Sonya Winters. Mom, Michelle says, after arriving home from Dover Air Force Base in Delaware on the 17th, “He was my knight in shining armor.” “I not only loved him as my son, but I liked him.” “We had such a wonderful relationship as a Mother and son.” Aunt Sonya says “he was a funny and loving nephew and he always made sure he had lots of contact with his family. Just days before his death, which was also literally days before US troops were to be pulled from ‘combat role,’ Jamal passed the promotion board. He would be promoted to Sgt Jamal Rhett in just a few short months, the last conversation that he had with his mom. 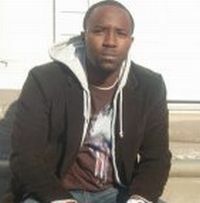 Jamal was the 14th person with Burlington County ties to die in Iraq or Afghanistan since the armed conflicts started.